If you get hurt at work, Article 41 of the Colorado code establishes your right to recover benefits under the state workers’ compensation system. Workers’ compensation is the only remedy an injured worker has against his or her employer, so an injured worker who wants to be compensated for a work injury will need to make a workers comp claim. A number of different types of benefits are provided under Colorado law for an injured worker. Among these benefits is compensation for serious or life-changing injuries that the worker never 100 percent recovers from. Disfigurement is an example of one such injury. While the law specifically establishes workers’ compensation disfigurement benefits in Colorado, sometimes insurance companies do not pay as required. When this happens, The Dominick Law Firm can help. Our Boulder workers’ compensation attorneys have assisted clients with obtaining disfigurement benefits in Boulder, Thornton, Longmont, Louisville, Lafayette, Erie, Broomfield, Lyons, Mead, Loveland, Wheatridge, Greeley, Ft. Collins, Superior, Denver and the entire Colorado front range. Contact us today at (303) 447-2644 or using our online form for a free consultation to learn how we can help. When a work injury occurs, a worker is not permitted to sue his or her employer. Instead, the Colorado workers’ compensation laws dictate what benefits the worker will receive. In addition to payment of medical bills and lost wages, the law also allows for payment of additional benefits to compensate a worker whose injury will never fully get better. Since disfigurement is permanent, a worker who is disfigured as a result of work injury falls into this category and should receive additional compensation. The details about the appropriate amount of additional compensation for a disfigured worker are found in 8-42-108. According to this code section, an employee who is “seriously, permanently disfigured about the head, face, or parts of the body normally exposed to public view,” is entitled to up to $4,000 in compensation. However, if the employee suffers extensive burn scars on the face or body; or extensive facial scars or stumps due to the total or partial loss of a limb, an additional $8,000 in compensation may be provided. These additional benefits are intended to try to help compensate you for the damage you have experienced. Unfortunately, although Colorado law makes very clear that workers who are disfigured are entitled to benefits, sometimes insurance companies will deny claims or refuse to pay as required. When this occurs, it is important to take action to protect your legal rights. 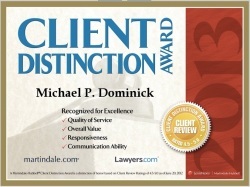 The Dominick Law Firm can help you to get the benefits you deserve if you are disfigured through a work injury. Our Boulder workers’ compensation attorneys have assisted clients with disfigurement claims throughout Boulder, Longmont, Louisville, Lafayette, Erie, Broomfield, Greeley, Ft. Collins, Superior, Denver and the entire Colorado front range. If you need assistance with your work-injury and resulting claim for workers comp benefits, contact us today at (303) 447-2644 or using our online form for a free consultation to learn how we can help.